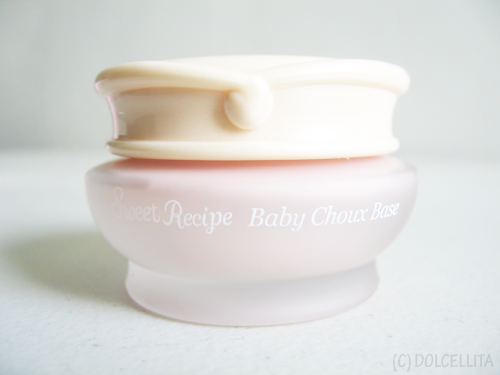 The final addition to my Etude House "Sweet Recipe" collection, if you read my last entry, was one of the most interesting and raved about items: the Sweet Recipe Baby Choux Base. As a primer or makeup base, it's meant to create a smooth canvas for your foundation, BB cream, or powder and promises to give baby smooth and soft skin, while evening out or correcting skin tone color and providing sun protection with its SPF25, PA++. 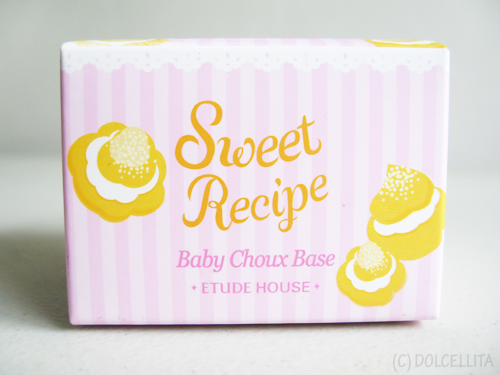 There are three kinds: #01 Mint Choux (for redness), #02 Berry Choux (for brightening fair skin), and #03 Peach Choux (for brightening sallow or yellow-toned skin). 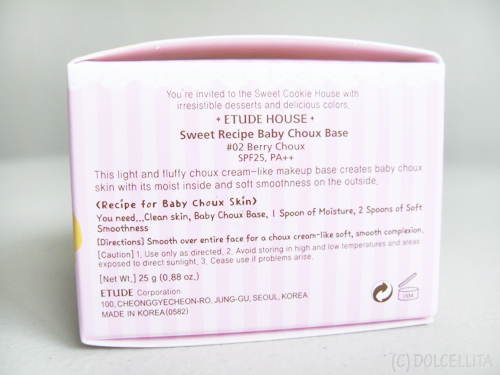 Sadly SM Makati only had one kind available, so I got it in #02 Berry Choux. Though I do have fair skin and want to brighten it, I'm sure the one I originally wanted, #01 Mint Choux, would have done the same for me while also combatting my natural redness. Once again EH does not disappoint with packaging. 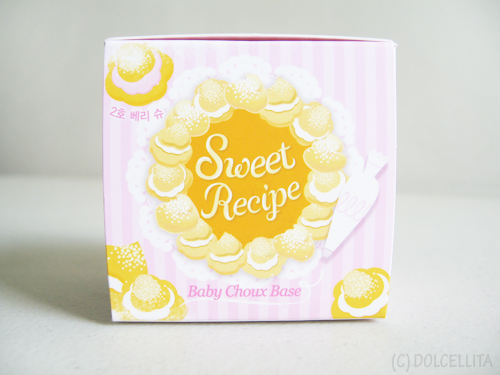 The outer packaging alone is irresistibly cute and meant to look like a cake box. 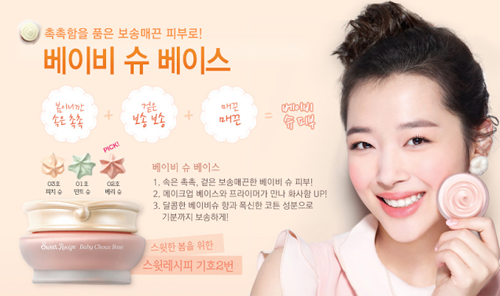 One side has all the product information in Korean, but as always with EH, an English translation is also included. 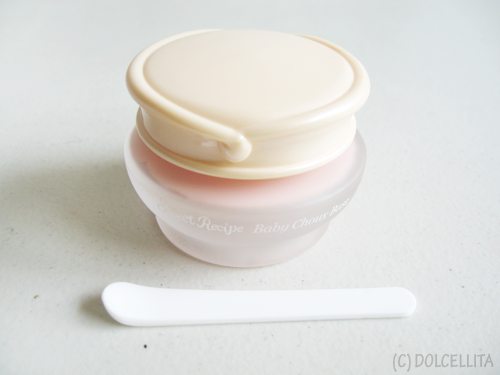 Inside the box, 25g of product is housed in a frosted, glass jar. The glass itself is quite thick and durable, and the overall design would make it a visual delight to add to any vanity table or dresser. A plastic spatula is also included, so no need to dip your fingers inside! If you've ever had a cream puff, the base itself has the same consistency as the filling. 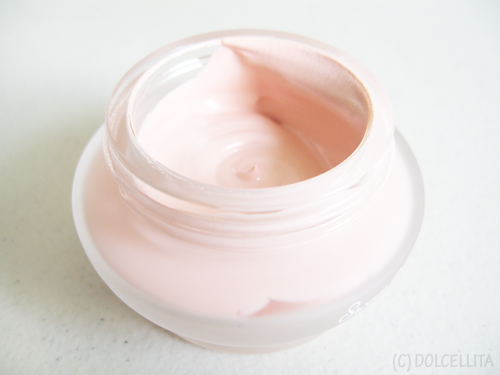 It's smooth and creamy, but not thick, and easy to spread and blend out. For those who don't know, "choux" literally translated is the French word for "cabbage". But in relation to sweets and desserts, it's a type of pastry dough used in making cream puffs, éclairs, and so on. That's why the base instantly reminded me of the filling inside a lot of desserts and pastries! 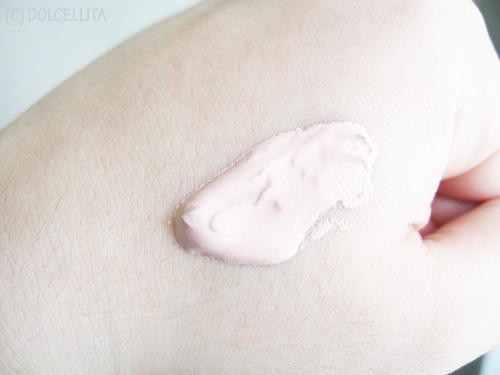 Since this base can easily give you a very whitish cast if you go overboard with it, it's best to apply it gradually. A little at a time. What I do is scoop up just enough to fill one end of the small spatula, and dot the product all over my face. From there, I blend. 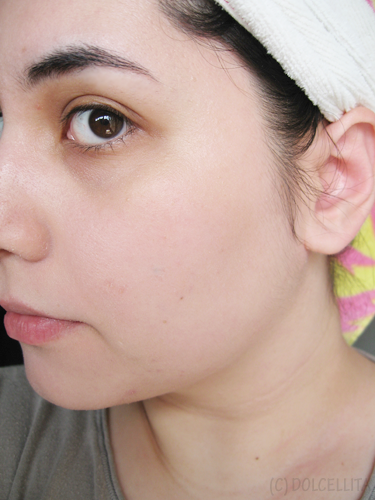 After applying, I immediately noticed that my skin tone was definitely evened out. There's less redness on my cheeks and my neck and face now match a lot more in color (my neck and chest are naturally much lighter and paler than my face). It also lightened my dark circles slightly. I've read reviews from other bloggers who are just using this and skipping any additional BB cream or foundation, but sadly since I'm not happy with the coverage and not blessed with perfect skin, I'll definitely still be needing something on top of this base. 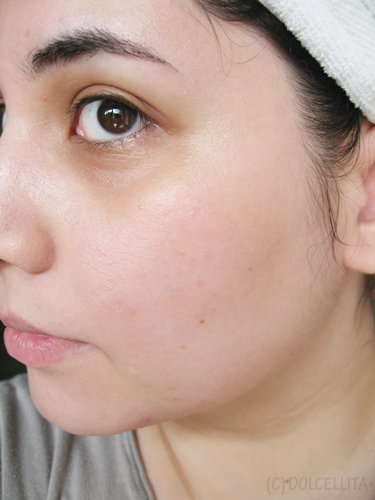 It brightened and evened out my skin tone, as well as lightened very minor blemishes. I only need very little for my entire face, just one small scoop with the spatula to be exact. I expect this one jar to last me a long while. Emphasized some dry patches. Might not be a good product for those with naturally dry skin unless you moisturize really well prior to using. No oil control action for me, or any that I noticed. I still got shiny by mid-day. 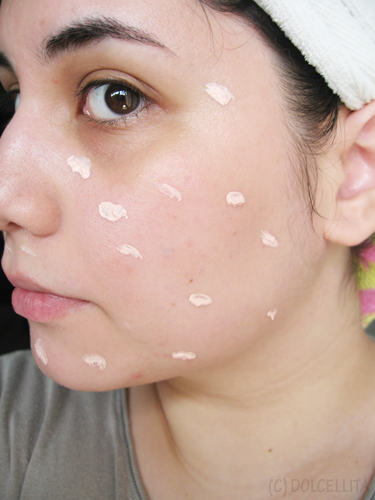 Coverage is very light, not enough to cover more obvious blemishes and/or pores. Can easily leave you looking too white or pale if you apply too much. Expect a whitish cast in pictures with flash especially. Not very buildable, runs the risk of looking cakey. It's scented and smells like peach flavored (not berry) candy to me. I personally don't mind, but others might be opposed to it. The scent practically disappears upon application anyway. 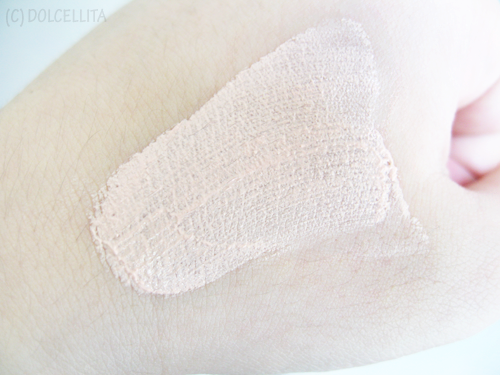 You might need a powder that matches your skin tone to neutralize the whitish cast this can give.